New Jersey reporter Ted Greenberg covers the Jersey Shore region. 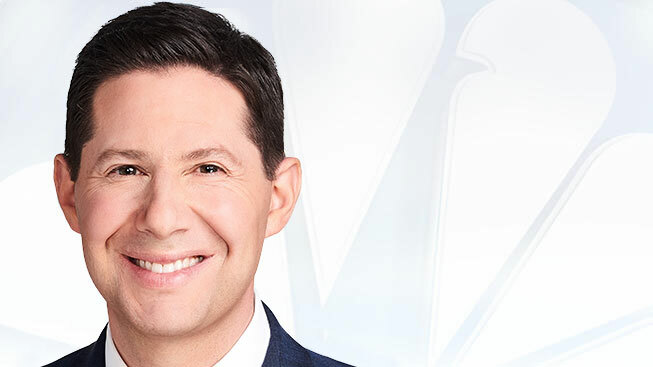 You can see Ted’s reports weeknights on News 4 New York at 4 p.m., 5 p.m. and 6 p.m. Throughout more than two decades of covering the shore region from Lakewood to Cape May, Hurricane Sandy remains one of the most memorable events in Ted’s career. Six years later, Ted is still advocating for the thousands of New Jersey residents who are still impacted by the superstorm. Ted has been a part of the NBCUniversal family since 2003. He previously worked at WMGM-TV in Atlantic City while simultaneously pursuing a criminal justice degree at New Jersey’s Richard Stockton College (now Stockton University). He got an early start in broadcast journalism after getting hired at WMGM while still in high school. After nearly six years at WMGM, Ted went on to report and anchor for WROC in Rochester, New York, and WTIC in Hartford/New Haven, Connecticut. During his time at WTIC, Ted’s outstanding performance as a journalist was recognized with two Boston/New England Emmy awards for news writing, and an Associated Press award for excellence in broadcast journalism. Ted returned to WMGM for a short time in 2002 as News Director and 6 p.m. co-Anchor. When not reporting, Ted enjoys spending time with his family, especially on the beach and boardwalk. He is also a champion of breast cancer awareness, having lost his mother to the disease. Ted lives near Atlantic City with his wife and their three daughters.